Freida McInroy, age 93, of Glenwood Place in Marshalltown, left this earthly life on the afternoon of Sunday, January 27th, in the peace of her home. Elmer in the Riverside Cemetery. There will be no visitation. Memorials may be directed to the church. For condolences, please visit www.mitchellfh.com. The Mitchell Family Funeral Home is caring for Freida and her family. Ph. 641-844-1234. Born on June 29th, 1925, in the great northern community of Bonarlaw, Ontario, Canada, she was the daughter of John and Eppie (Foshay) McLaren. She attended school in Bonarlaw. In 1946, she became a proud U.S. Citizen. On June 6th, 1946, she was united in marriage to the love of her life, Elmer Eastwood McInroy in her hometown of Bonarlaw. The young couple moved to Des Moines and later to Marshalltown in 1956. Mrs. McInroy was employed in the dental fields for over 30 years – with Dr. Wells and Dr. Blaha. She was a faithful member of St. Paul Episcopal Church, Order of the Eastern Star and formerly Elmwood Country Club. It was a good day if it involved golf, gardening, playing bridge or any church activity. Left to cherish her memory and raise her up in a toast are her children- Elisa (James) Cartier, Dan (Carroll) McInroy and Andrew (Mary) McInroy; five grandchildren- John Cartier, Delia Jones, Israel Cartier, Ian McInroy and Emily McInroy; eight great-grandchildren, a brother Ken McLaren as well as nieces, nephews, cousins and friends. 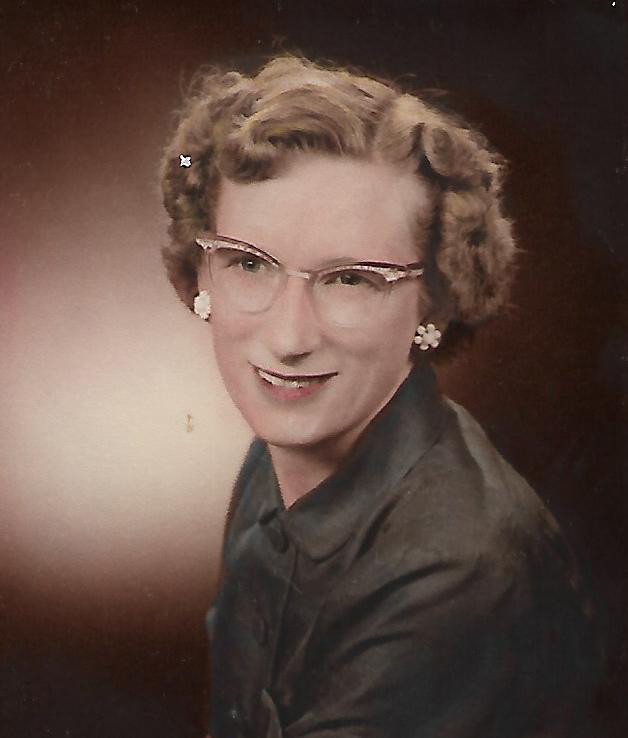 In death, Freida rejoined her beloved Elmer, granddaughter Mary Cartier and four siblings.